Bacteria exists naturally in our mouths. Good bacteria helps monitor and control against bad or damaging bacteria. There are two types of bacteria that commonly cause tooth decay: Streptococcus mutans and Lactobacilli. Calculus are hard crystals that form on your teeth. These crystals occur when too much plague builds up on your teeth. The plague absorbs minerals from your saliva and the concoction forms the hard substance that is calculus. If left untreated, layers of calculus can materialize. Plaque is the soft, sticky substance that adheres to your teeth. Technically, it is a type of biofilm and is a naturally occurring element in your mouth. The biofilm is made up of bacteria, bacterial byproducts, white blood cells, and bits of food. 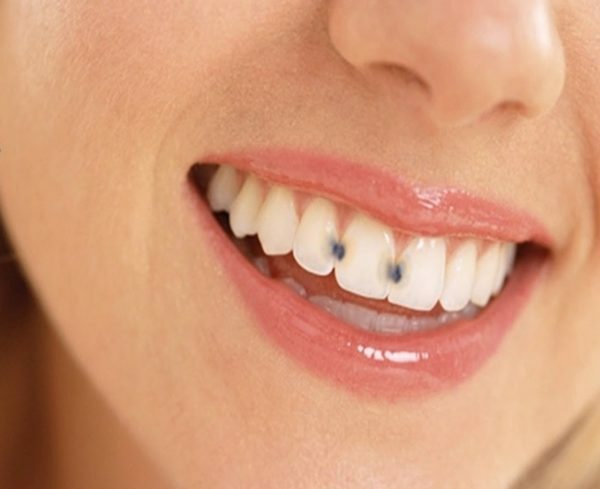 Plaque increases as more and more bacteria attach to your teeth. As soon as two hours after brushing your teeth, there is enough bad bacteria in the plaque to start causing cavities and gum disease. Saliva touches every corner of your mouth and is a very important substance. It works to keep your teeth and mouth wet and helps to wash away left over food. Additionally, minerals and other elements found in saliva help keep the teeth strong and keep too much acid from reaching your teeth. Acid can have a destructive effect on teeth, resulting in decay. Cavities, also known as dental caries and tooth decay, occur due to acid. As noted above, there is a lot of bacteria in your mouth. This bacteria needs food to live. Bacteria feeds off of sugary and starchy foods. As the bacteria feeds off this food, it produces acids that eventually attack the enamel of your teeth. All types of carbohydrates, foods that break into simple sugars, can contribute to the increase of acid in your mouth. Foods that break down immediately into sugars in your mouth are called fermentable carbohydrates. This includes such things as cookies and candy, soft drinks and breakfast cereals. It also includes foods such as bananas. Every time you eat, you subject your teeth to an acid attack. The acid starts to break down the calcium and phosphate crystals in your teeth. While the surface of the teeth may be smooth, a white spot may appear, which indicates the enamel is weakening. At this point, your saliva and the many minerals and proteins it contains can usually repair the damage. However, once the decay compromises the enamel you have officially developed a cavity. It is important to see your dentist as soon as possible. They can fill the cavity to prevent further decay from occurring in that spot. If left untreated, the decay can work its way through the dentin layer, the pulp, and even down to the nerve of the tooth, causing a lot of discomfort and requiring more intensive care. In addition to the regular type of cavities discussed above, there are a few other types of cavities that plague people at certain ages. Baby bottle tooth decay, also known as early childhood caries, occurs in young children. Children who sleep with a bottle of milk or juice have a higher risk of developing baby bottle tooth decay. This type of decay happens fast, as the teeth are in almost constant contact with carbohydrates. Older adults with exposed roots from over brushing or gum disease should be especially careful. It is possible for cavities to develop on the roots of the teeth, which are known as root caries. This, coupled with dry mouth, a common ailment or side affect from medicines among older patients, can leave them especially susceptible to cavities. With less saliva, there is less protection for the teeth. In some cases, cavities can occur under fillings or in and around other tooth repairs. Food and bacteria can sometimes be caught between a tooth and filling or crown, creating the perfect situation for caries to form. If you think you may have a cavity or are worried about decay, make an appointment to see your dentist immediately. It’s important to catch decay as early as possible. They can recommend proper oral hygiene protocols to reduce your chances of cavities.